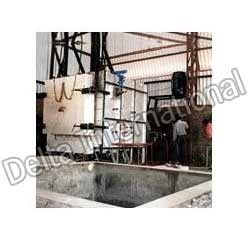 The pit furnace offered by us is specially designed by our engineering department, for efficient and fast performance. 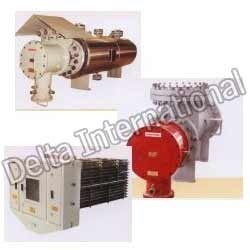 These furnaces include Nitrex control system that can be customized as per the customer’s specifications. In some special cases, we can also retrofit the old nitriding or nitrocarburizing furnaces with the Nitrex control system. Few of its salient features includes following: • Inconel 600 (refractory steel) retort & racking. This allows longer service life and inactivity with nitriding atmosphere • Uniform temperature distribution • Light ceramic fiber insulation, reducing heat losses & so energy consumption • Kanthal long lasting heating elements • Integrated cooling systems Few optional attachments for the pit furnace are as follows: • Larger furnaces may be equipped with a 'Turbo' cooler, for accelerated cooling of the load. This option is used where productivity is a major issue. • Some pit-type furnaces may be equipped with a vacuum purging system. This option significantly accelerates exchange of atmosphere in the retort and is very useful in nitriding of stainless steels. Looking for Heating Furnaces ?